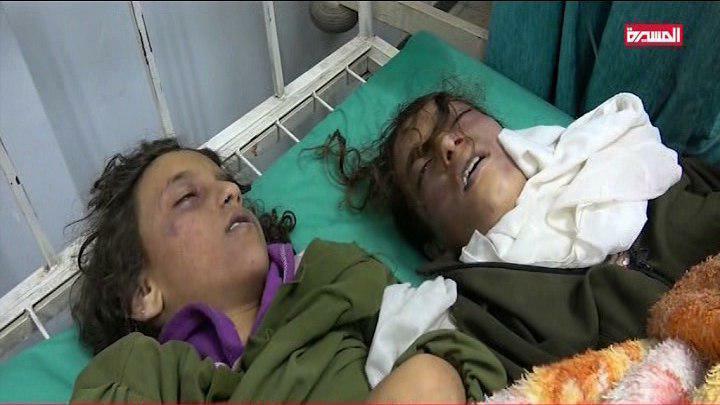 The Political Bureau of Ansarallah condemned, on Sunday, the brutal US-Saudi crime which targeted a residential neighborhood next to a school in Sa’wan area in the capital Sana’a, killing and injuring over 100 schoolgirls. The political bureau said that this crime confirmed the U.S. presence and its major role in this aggression and reflects the magnitude of criminality of its dirty tools. The Bureau assures the forces of aggression that this crime and other crimes will only increase our Yemeni People steadfastness. The Political Bureau of Ansarallah called upon the people of Yemen to strengthen the factors of steadfastness and to act responsibly in mobilizing fighters to all fronts. Despite the coalition claims that it is bombing the positions of Ansarallah, Saudi bombers are flattening residential areas and civilian infrastructures.